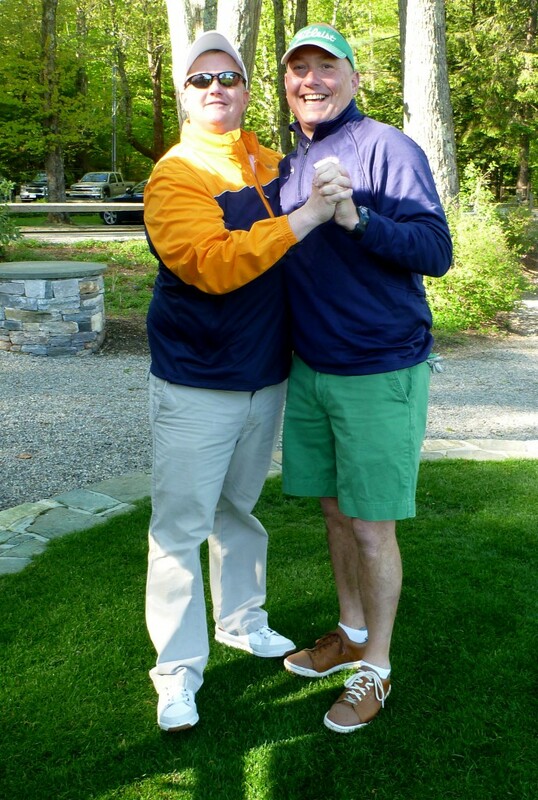 Fran and Doug, first tee, May, 2012. Two years ago, my golf club introduced Play With the Pro, which allows members to sign up, at no charge, to play nine or eighteen holes with Fran, our head professional. The program has two purposes. The first is to get Fran onto the golf course. Like many people who loved golf so much when they were kids that they decided to make a career of it, Fran hardly ever got to play, and his main exposure to the game was sitting in a chair on the practice tee, watching people with terrible swings hit terrible shots. At a club I used to belong to, playing lots of golf with members was part of the head pro’s job description, and the program was so popular that the sign-up sheet for the entire season usually filled up the day it was posted. At many other clubs, though, golf committees view a pro who’s playing golf as a pro who’s slacking off. They want him in the golf shop, handing out scorecards and hawking balls and telling guests where the men’s room is. Hey—get over it! 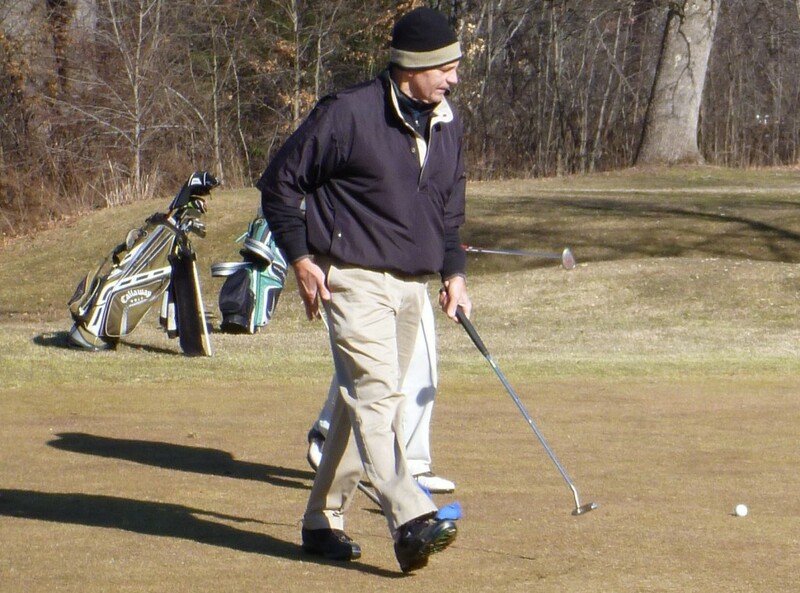 At our club, we encourage our superintendent, Gary, to play a lot, too. He usually plays with the gang in our regular game on Sunday morning, after coming to work before dawn to cut the greens, and because he doesn’t mind bad weather he plays with us all winter, too. And every October we take Fran and Gary with us on our annual end-of-season golf trip to Atlantic City, during which we only play golf and eat crappy food, and nobody ever goes to a casino (except, occasionally, a couple of the young guys). It’s fun for Gary and Fran, and it’s fun for us. And that’s the whole point, right? Gary at Goodwin Park, during the winter that wasn't, February, 2012. This entry was posted in Uncategorized by David Owen. Bookmark the permalink. I’ve had a conversation similar to this many times with many members in the past. Why do golf courses persist to use their pros as glorified cashiers? Can’t they get enough high school golfers, college golfers, or retirees to fill that role? I would love to see my pro on the range, practice green, or golf course. If they had a larger presence outside of the clubhouse, I would probably consider taking more lessons, or at minimum 9 hole playing lessons from them. Increased customer satisfaction and revenues should be so easy for every business.